The design brief for both the Stratos Bibshort and Jersey, now in their 3rd iteration, has always been simple and straightforward. Make the ideal climbers outfit. In order to do this, we had to find the balance between light weight, UV protection and body temperature control. For climbers, weight is a critical criterium. Next to that, you have to be protected from the elements. 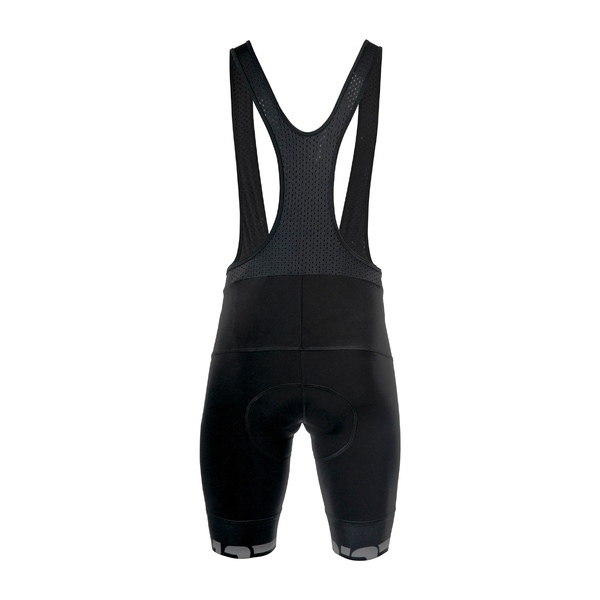 The big difference between this bibshort lies in the fabric we’ve used, Aquaracer. This multidimensionally elastic fabric is naturally stretched in every direction, for a maximum freedom of movement. A gentle retention mechanism creates an extraordinary and particularly effective second skin effect. Aquaracer is UV protective (factor 50) The tight weaving, combined with a hydrophilic treatment from the inside and a water repellent treatment from the outside, makes this fabric an ideal material to protect against wind and humidity. This reduces the wind chill factor substantially. 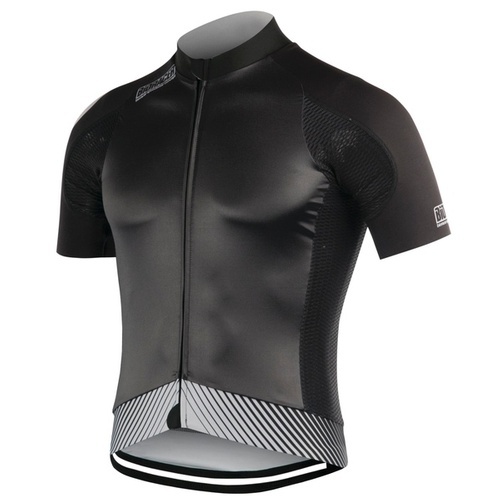 As a consequence, this jersey is verily breathable during climbs, and gives you a natural wind protection during descents. 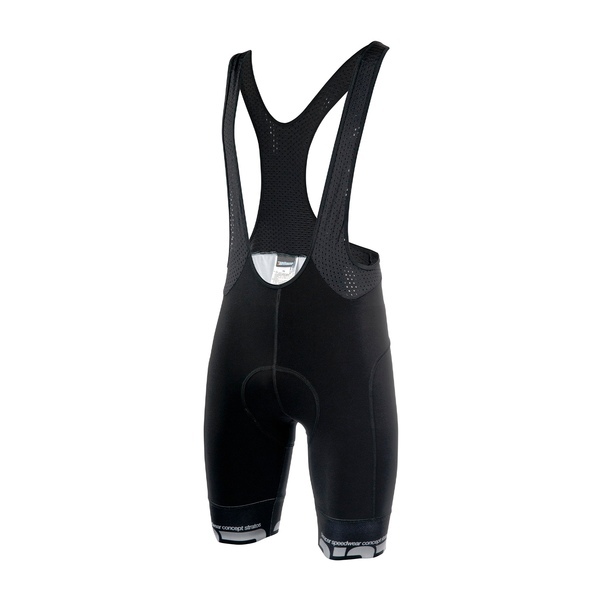 The Netz bibs, together with wide elastic Powerband leg cuffs, keep everything into place.